Born in Modena, Italy in 1979. Francesca Commissari is a freelance Documentary Photographer. Based in Sicily, she has spent the last three years documenting the lives of female Romanian farm workers in the Sicilian greenhouses, where they work in conditions of forced labor, severe exploitation and forced sexual relations with their employers. To fully understand the reasons why these families accept such working conditions in 21st Century Europe, Francesca is also documenting their particular living situation in Romania. Francesca completed a degree in Philosophy at Bologna University in 2004. Afterward, she moved to Madrid, Spain to study photography at EFTI. In 2008, she traveled to South America, where she started her career as a professional photographer. During her travels, she first lived in the Amazon, where she documented the daily contemporary life of three different indigenous ethnic groups, Pemon, Warao, Tikuna. 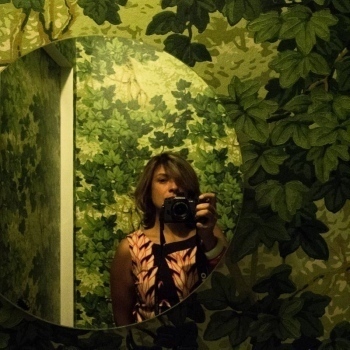 In 2011, she moved to Caracas, Venezuela to work as a photo reporter for El Nacional—one of the main Venezuelan newspaper—during the Chavez era and the subsequent revolts. During this period, she started developing long-term personal projects, including documenting the Venezuelan gold mines and the life of Caracas transsexuals. Francesca is a contributor for The Observer, The Guardian, Internazionale, L’Espresso, Corriere della Sera, El Nacional, Forum, Freitag, and Italian news agency ANSA, amongst others. Francesca Commmissari is a freelance Documentary Photographer based in Sicily.